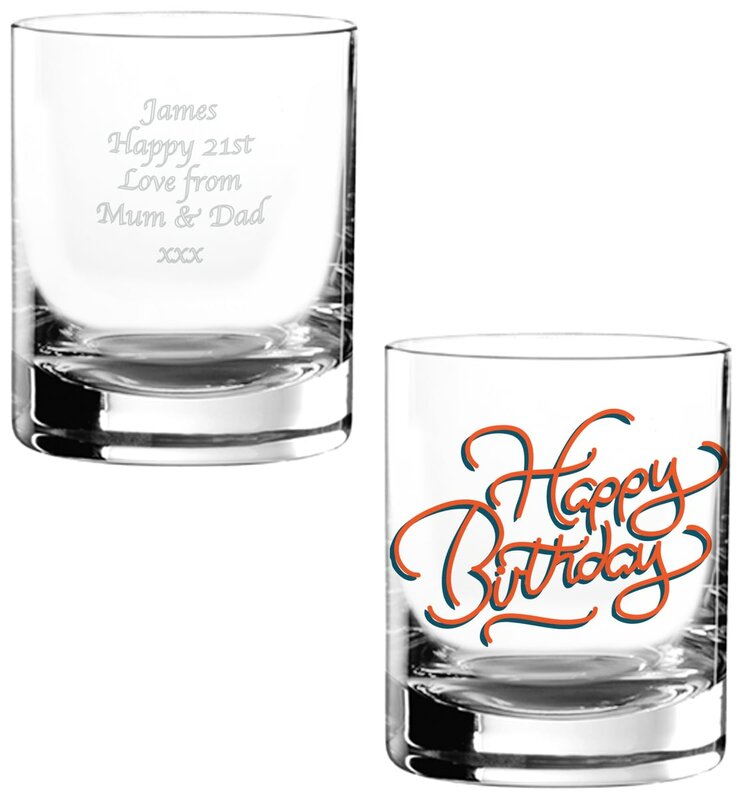 Your message is engraved on the reverse, whether it's for a daughter's 18th, a friend's 21st or Dad's 50th, this glass will be cherished long after the event is over and will be a lasting reminder of your sentiment. This simple yet stylish tumbler makes the perfect way to mark a milestone Birthday for someone special. This Bubbles character is here to wish a Happy Birthday and bears balloons for the recipient of this colourful tumbler. The perfect little present which can be personalised with any name. Decorated with words of celebration, this contemporary tumbler can be engraved with any name.